Are you a lover of historical fiction? 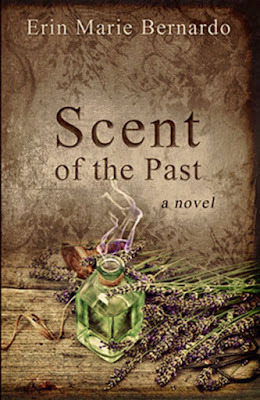 Come check out Erin Marie Bernardo's Scent of the Past! Set in present day New York City (yeah buddy!) and taking you back to 18th century France, you don't want to miss out on Addison and Elissa's adventures! Read below for a synopsis, author biography and a link to a sample chapter! Disaster strikes when Addison finds herself in a nearly identical situation to a mishap she experienced in the present—the witnessing of a murder and release of a secret. Only this time the truth could destroy the entire French monarchy. With Addison’s head on the line, the young women search for answers before Addison suffers her unlucky fate twice. It is only when they discover the haunting connections to life in the present, that they understand why they both were sent, and why a repeating past...may not always be such a bad thing. Erin Marie Bernardo is an American writer of historical fiction. She has a degree in Communication Studies from the University of Minnesota, and is the author of the time-travel novel, Scent of the Past. A lover of historic places, Erin's novels connect the past with the present. Erin is currently at work on her second novel, Blackbird's Bounty, set in the bayou of Louisiana – and is actively seeking a home for her children’s collection, Beautiful and Extraordinary Barnyard Stories, based on true events from on her farm.